Each turkey must adhere to the store’s “Honest to God Guarantee,” which means it was raised humanely, on a natural diet, and served up by workers paid a dignified wage. 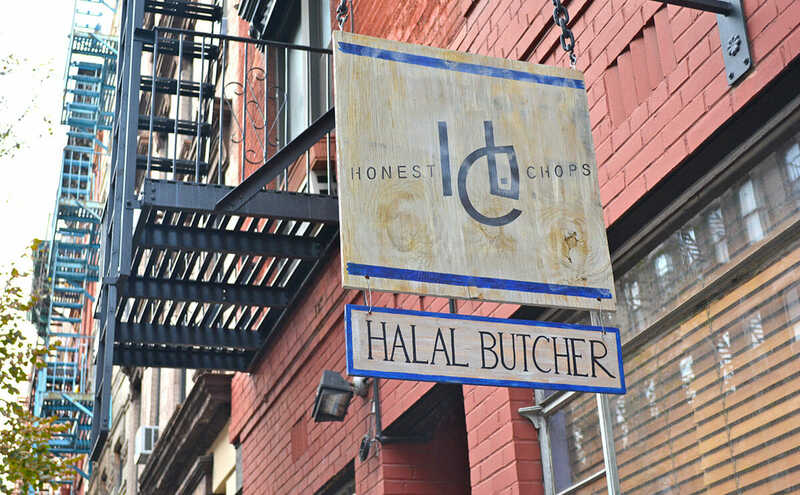 And unlike the organic meat on offer at New York City’s other artisanal meat shops, it also has to be halal: hand-slaughtered following the strictest Islamic guidelines. 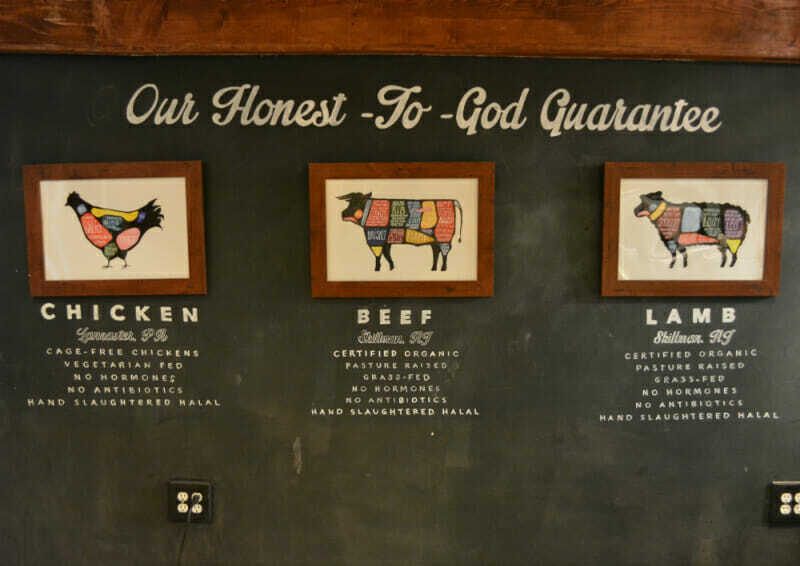 Since opening this past spring, Honest Chops had already developed relationships with farms in Pennsylvania and New Jersey for their chicken, beef and lamb. But they had to start from scratch to source their turkeys. So they hired Yusha Hu, whose company Local Bushel connects local farmers with small retailers like them. Hu’s search led her straight to Goffle Road Poultry Farm in Wyckoff, New Jersey. It was the only nearby farm that met Honest Chops’ criteria of humanely raised, halal-slaughtered turkeys – white-breasted Nicholas turkeys, to be specific. 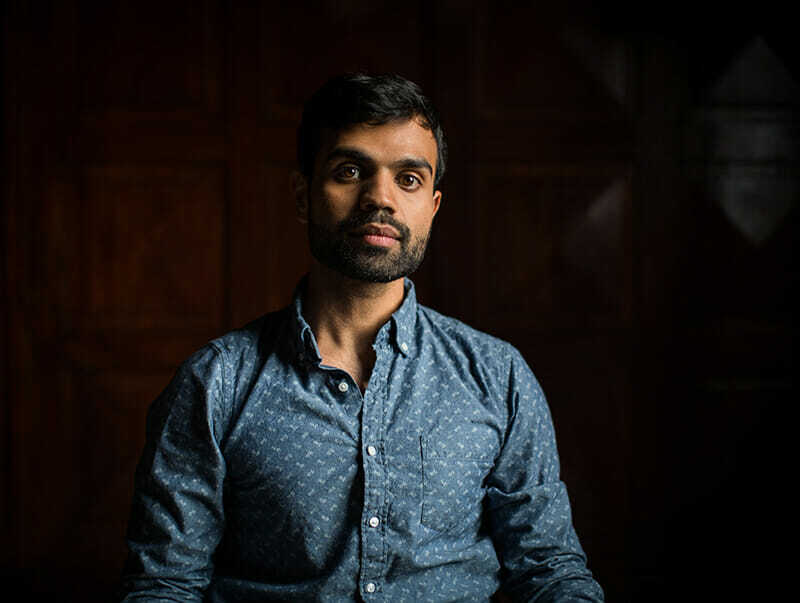 Tariq’s path to the slaughterhouse was paved with an intermittent engagement with issues concerning his Muslim identity. Technically, Tariq’s not actually a butcher; though he has slaughtered an animal before, his role falls more on the business end. Google him, and you’ll find several results before the word “butcher” appears: documentary filmmaker and TED Global Fellow among them. Growing up, his exposure to meat included neither sirloin cuts nor ribeye. In the Astoria home he shared with his parents, both born in Pakistan, “Everything was cut into pieces. Everything’s a curry or a stew.” The only foreshadowing, at least in this version of the story, is that the coffee shop where he suggests we meet – a retail space where his mother used to rent out Bollywood movies, just blocks from his childhood home – also used to be a meat store. Bassam Tariq. Courtesy Ryan Lash. “The problem with halal is actually a problem that our community created,” he continues. When Muslims began immigrating to the United States, it was too expensive for people to slaughter their own meat. A mass production cycle arose, engendering two problems that, ironically, call the meat’s halal status into question. First is the blessing, which must be uttered by a Muslim, who then cuts the jugular vein himself, letting all the blood drain out. In the world of mass production, this invocation of Allah is often bestowed upon a single machine blade, which then slaughters hundreds of animals, each one deemed halal as long as the blade hasn’t shut off. The second problem is the way the animals are raised. “We came up with a way to make meat that was cheaper,” Tariq says, but “the animals are treated poorly and the conditions in which they were raised weren’t right.” To the partners, each of these problems on its own is enough to render the meat a far cry from halal. In conjunction, the label is that much harder to justify. Honest Chops’ clientele is between 80 and 90 percent non-Muslim. This is largely because of its location on a lower Manhattan block where the majority of businesses are fashion boutiques. Not since Lady Gaga sported a gown constructed from raw meat have butchery and couture coexisted in such close proximity. But the lack of Muslim customers is also a matter of penetration, and penetration is all about building trust. This second question is one Tariq can relate to. Despite his parents’ distaste for turkey, the three of them now spend the holiday with his in-laws, for whom the holiday is a can’t-miss event with upwards of 40 guests. “It’s so important that I’m back in Houston for Thanksgiving,” he says. There’s nothing in Islam that prohibits the celebration of Thanksgiving, and according to Tariq, “It’s probably the most accepted of all of the American traditions” among Muslims.